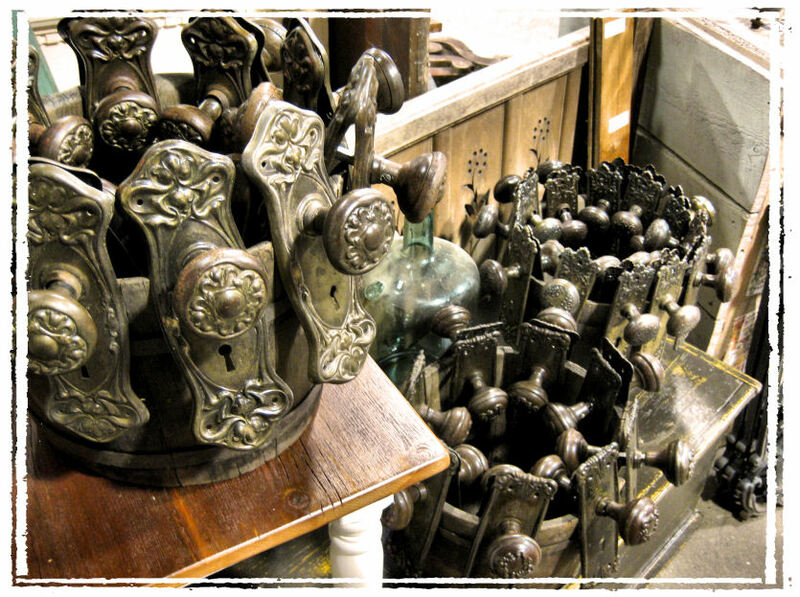 Artefacts stocks a wide and varied collection of antique hardware dating from as early as 1750 and as new as the 1930s. 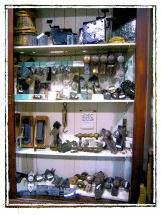 Of course there's no guarantee we'll have what you need but come and have a look - you'll be surprised. 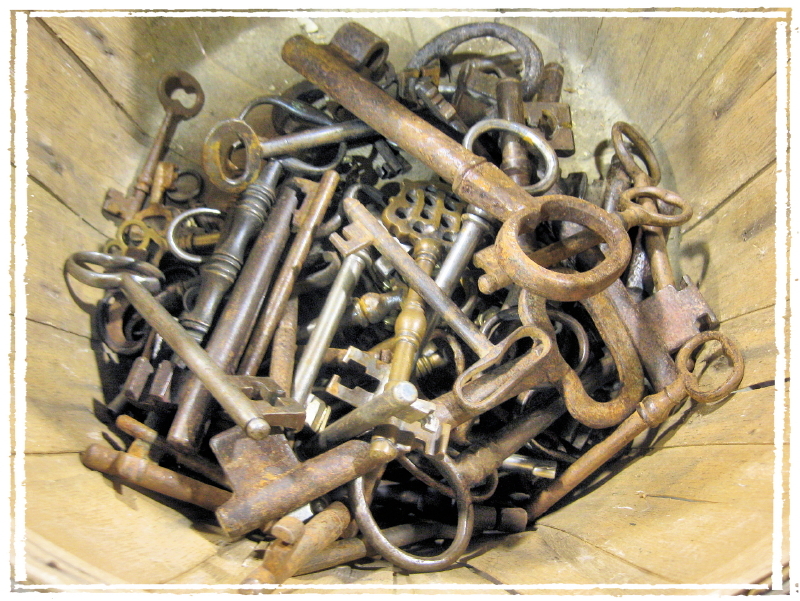 Or, rather, keys from the world. Some of a recent collection lovingly put together over the years. Start your own collecton or ... get 're done in one fell swoop! We're often asked to hang very large and heavy things on people's walls - most often hand hewn beams for fireplace mantels. This requires special hardware. Not finding anything commercially available, we went ahead and made our own. 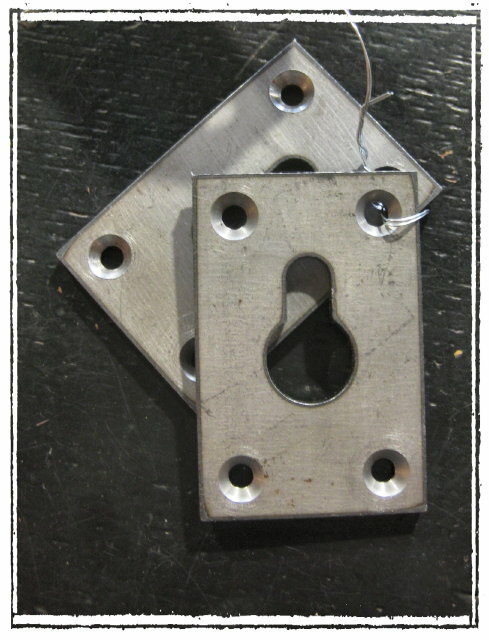 2" x 3" and 2" x 2 1/2"
and are designed to accommodate a lag bolt coming out from the wall. Counter sunk into the back of whatever you want hung, they will not bend and will hold more than you ever thought possible! $20/pr and can be shipped anywhere. 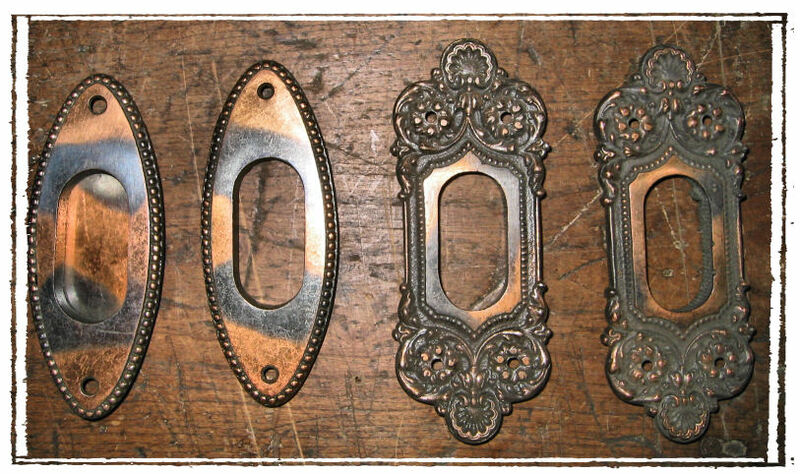 Believe it of not, while there are some similarities in pattern, not one of these hinges (110 - 140 years old) matches another. and, because I like them, I'm pretty sure that's their pet cat jumping out of the top of the tree! 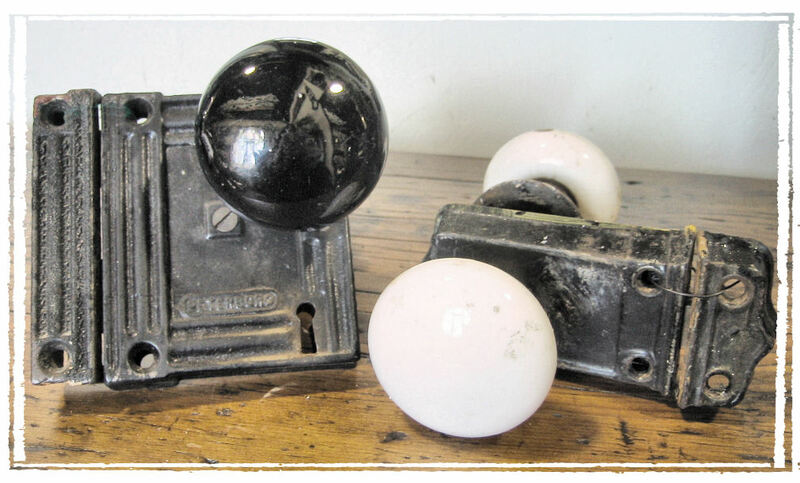 Early 20th century, stamped steel knobs sets we've cleaned of layers of paint, ready to serve again. 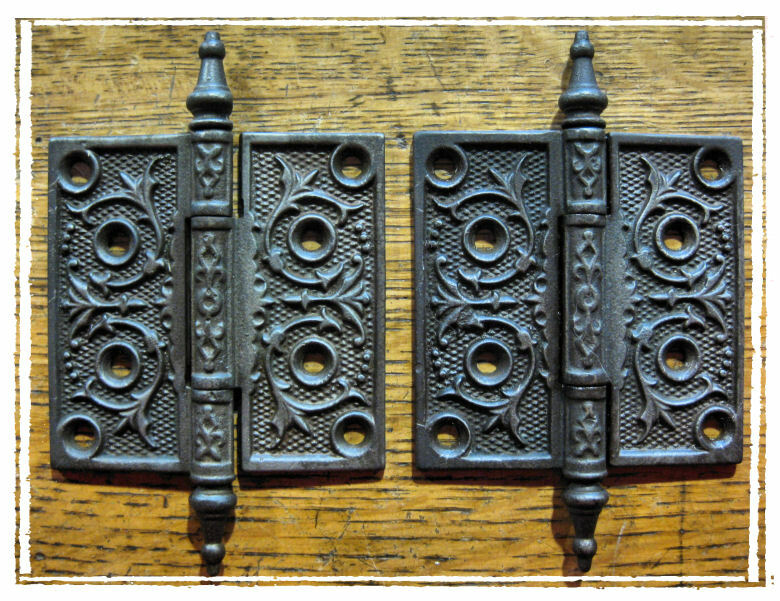 Cast iron hinges (1875 - 1905), cleaned and oiled. 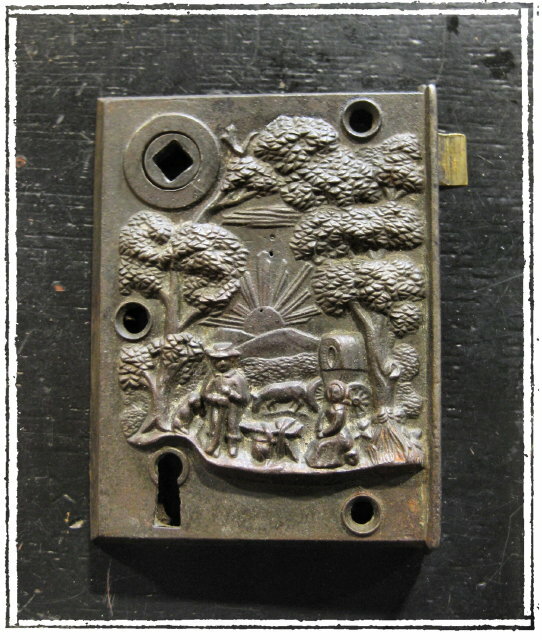 Rim locks with porcelain knobs were the mainstay for more than 50 years. Most are reversible and all are easy to install. The simplicity of porcelain enhances any door. If something more outstanding is called for, look to the Victorians - sometimes there seems no end to the drama they could inflict! 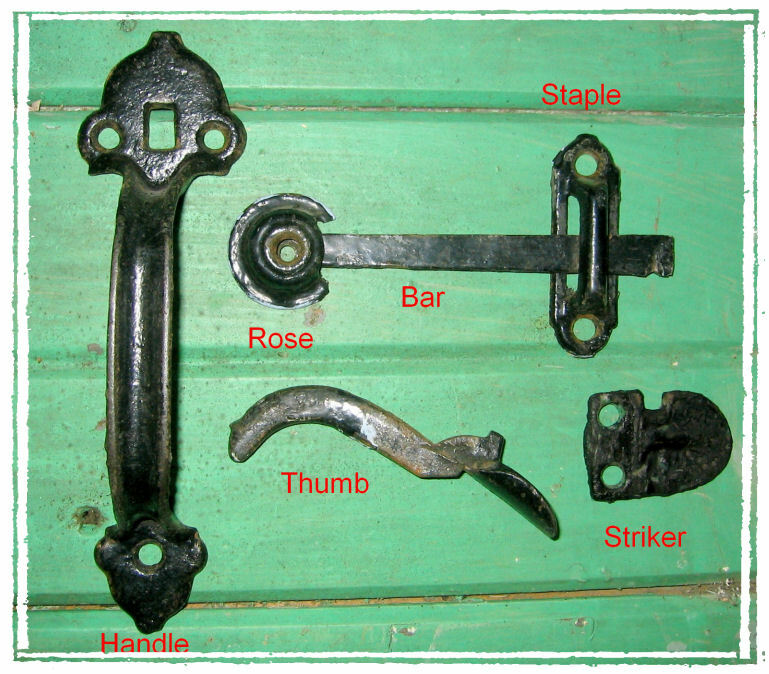 Carpenter locks and Elbow locks were common in Ontario during the 1820s to 1850s - especially on exterior doors. The components are hard to find but really set the tone when used. Pocket doors use is on the rise again and the right pull can pull it all together. We have quite a selection. 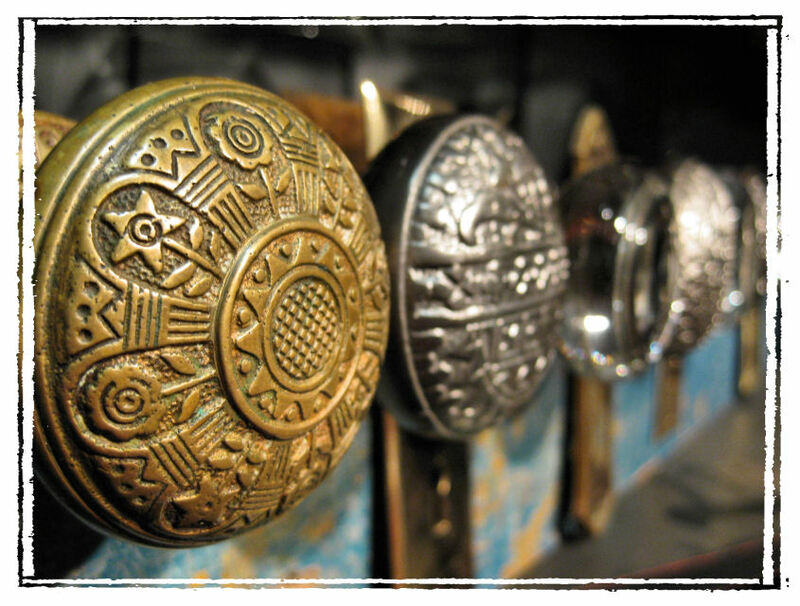 Thumb latches are charmingly practical - then and now - for bathrooms, closets or the whole cottage! 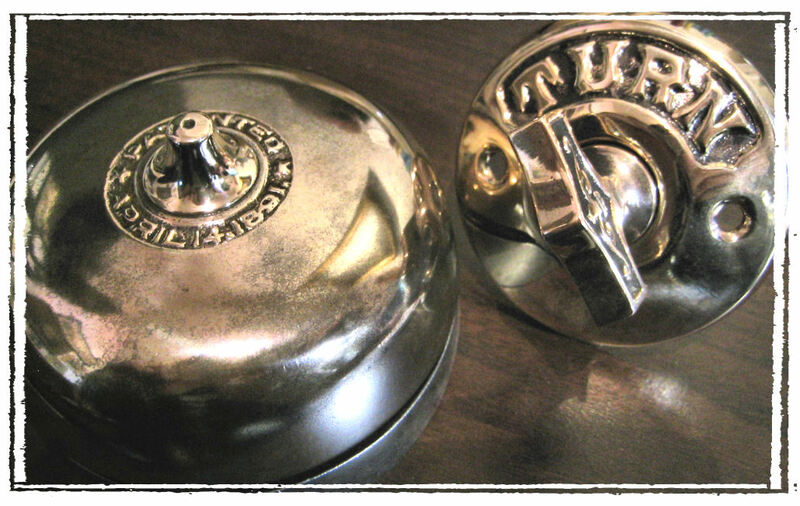 Door bells and knockers are the first hardware your guests ever use. Give them something to enjoy! 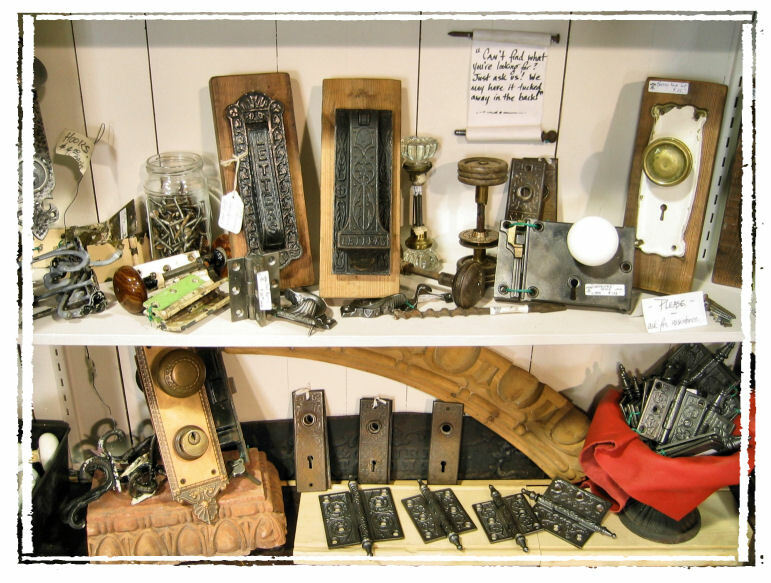 There is too much hardware to list - either come in and have a look or let us know what you're looking for. We'll do our best to accommodate you. 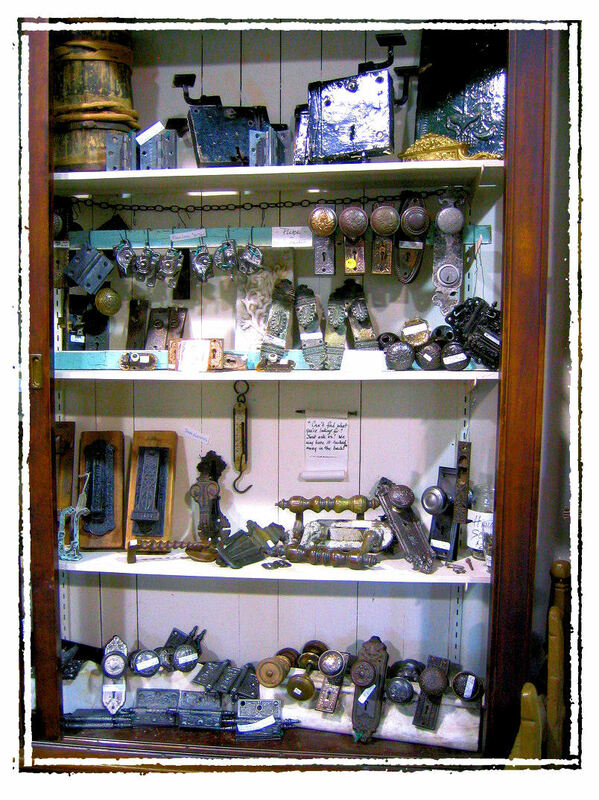 Artefacts also stocks some reproduction hardware.